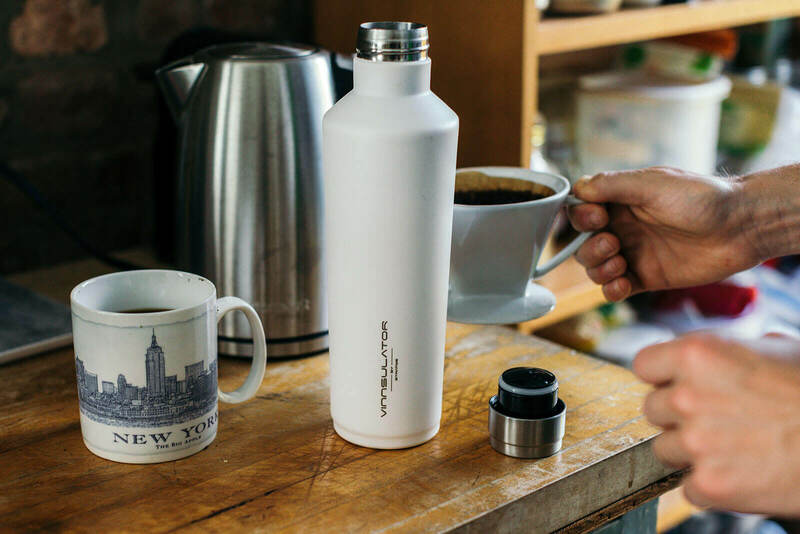 The STRATOS Vinnsulator Double Wall Insulated Tumbler Water Bottle and Thermos is a simple, elegant product. The design is clean and simple, and even the logo has a low-profile on the bottle, leaving you more room to customize it if you wanted to with water bottle stickers. STRATOS boasts that the 25 oz version of the bottle can hold a full bottle of wine. The only question is, do you prefer red or white? We’ll go over all the details you need to know about this water bottle in our Vinnsulator review. Stratos is a company based in Richmond, Virginia. This company wanted to create a water bottle that wouldn’t need freezing and wouldn’t sweat. To meet this need, they created the Vinnsulator. Our full Vinnsulator review will give you all the information you need to know about this water bottle. We love the unique shape of the Vinnsulator water bottle. The top of the bottle has a narrow lid. This allows you to turn the bottle upside down to fit it into your vehicle cup holder. STRATOS made a leak-proof threaded top to keep liquid from leaking out of your bottle. We love this clever product design. While these water bottles don’t offer the flashiest of colors, you can still choose from several options. Our two favorite designs are the two most basic colors: white and stainless steel. 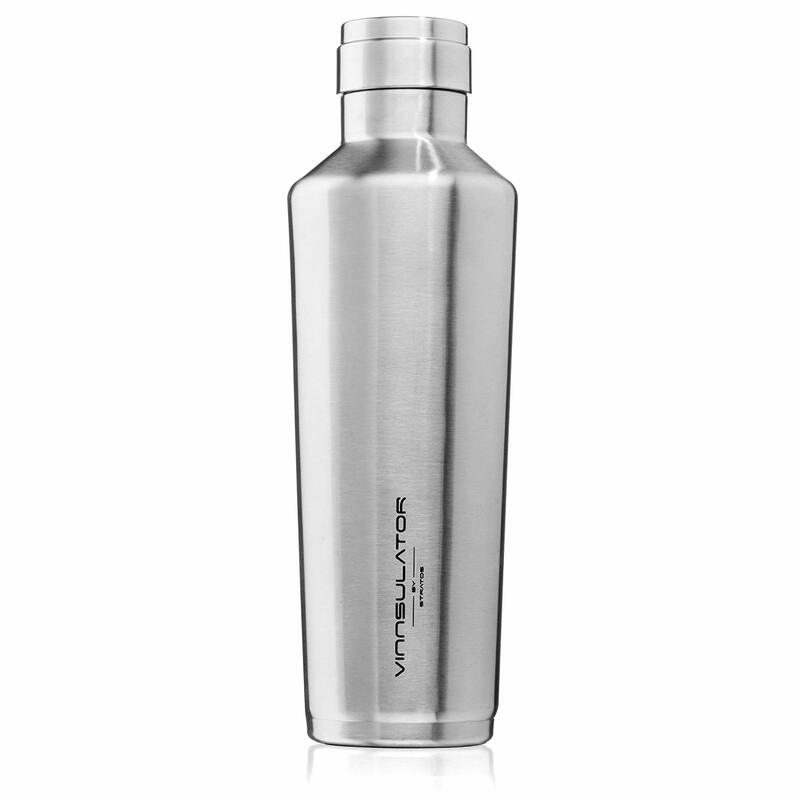 The stainless steel model is a beautiful reminder of the material that you’re drinking out of. This was definitely a marketing hook that stood out to us. If you want to have wine on-the-go, you don’t have to worry about where you’ll fit it. The Vinnsulator is also safe for coffee, tea, soda and kombucha. 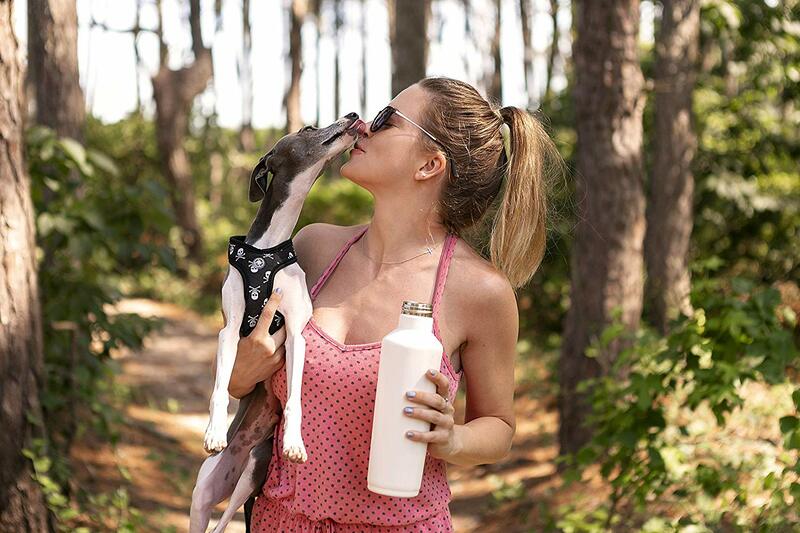 Most water bottle companies in the space target fitness enthusiasts or adventure seekers, but this brand is great for people who like all types of beverages or like to keep larger quantities of their beverage of choice with them. 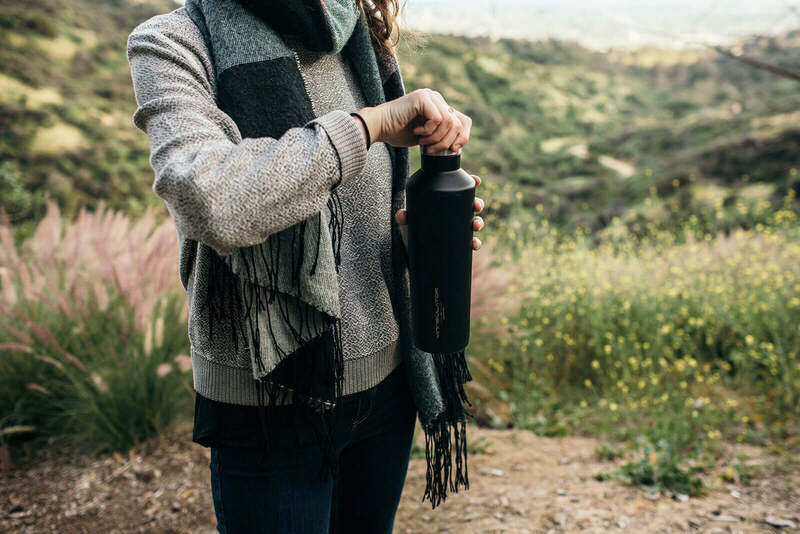 While other water bottle brands are customizable in terms of engraving and etching, STRATOS has an entire website section dedicated to customizing the water bottles. This is a unique offering that will help people who want to have a water bottle that looks all their own. 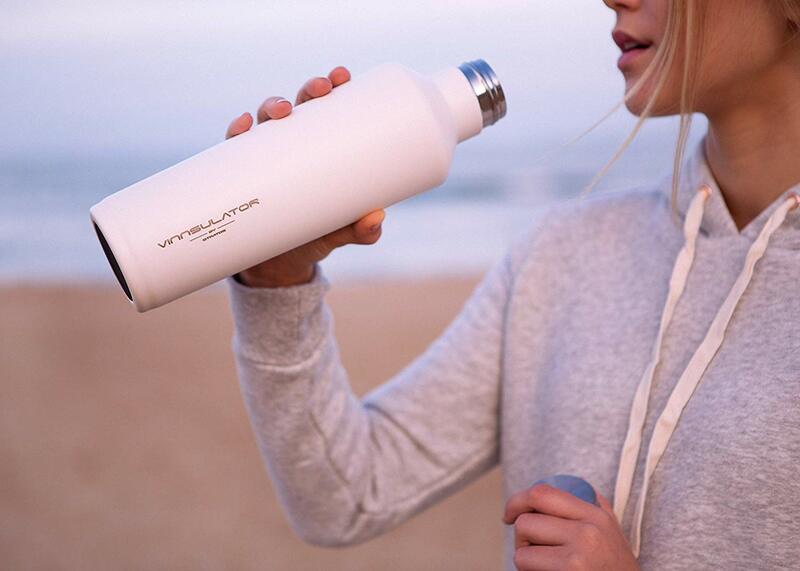 Customizable options: Many people like to have water bottles that show off their lifestyle. Stratos lets us customize your bottle on their website, and businesses can get bottles with their branding for their employees. Cup-holder friendly: Many water bottles with larger sizes don’t fit in cup holders, making it less convenient to carry your bottle with you. Because of the unique design, Vinnsulator bottles can be next to you in the car when you’re driving to work or on a road trip. 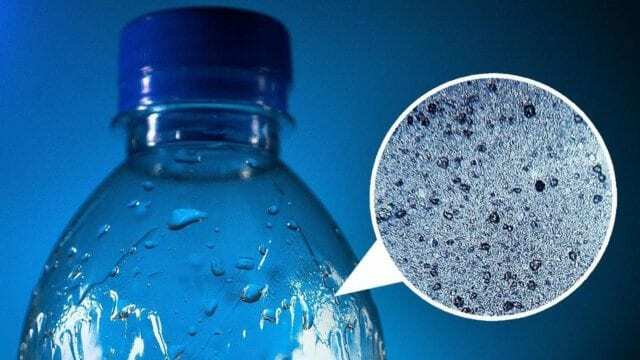 Great insulation: The bottle can keep drinks cold for 24 hours and hot for 12 hours. Leakproof: No one wants their water bottle to leak, but some bottles aren’t as leakproof as they should be. You won’t have to worry about leaks with this water bottle. Safe for all drinks: Whether you’re favorite drink is wine, coffee, water or kombucha, this water bottle will be great for your drink. Limited color options: We wish they had some brighter color options, but we’re just nitpicking at this point. The customization possibilities on the website will make up for this for many people. Not dishwasher safe: One of the major cons of the bottle is that the Vinnsulator is not recommended for dishwasher. You’ll have to learn how to clean your water bottle in other ways. One of the most important features of the bottle is the leakproof cap that allows you to flip the bottle upside down and fit it into a standard cup holder. This feature makes the water bottle more convenient for most people. The Vinnsulator uses double-wall vacuum-sealed insulation to remove condensation and keep your beverages tasting fresher. The bottle is also safe to hold with hot liquid, which is great. Some bottles can burn your hands if you have hot liquid in the bottle, but you won’t have that issue with this water bottle. For those of you who might be a little clumsy, STRATOS uses shatterproof stainless steel so you won’t have to worry if you drop the bottle. Plus, the water bottle is covered in a scratch-resistant powder coating to give you an improved grip and minimize any unsightly markings. After our full Vinnsulator review, we think that this water bottle is a wonderful option. It’s the only bottle on our list that is targeting wine and coffee drinkers, which we think is a unique twist. This water bottle comes at a decent price, and it often gets five-star reviews. 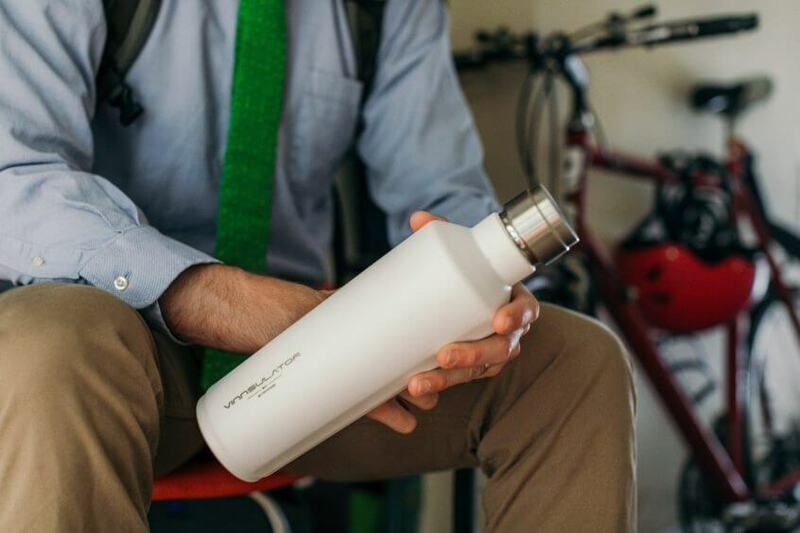 If you like this water bottle and it sounds like a good fit for you, learn more about it. Do you use this water bottle? If so, leave your own Vinnsulator review below.